Adventure aims at increasing productivity, encourages students to work in different working environment, builds team spirit, friendship and trust amongst each other. 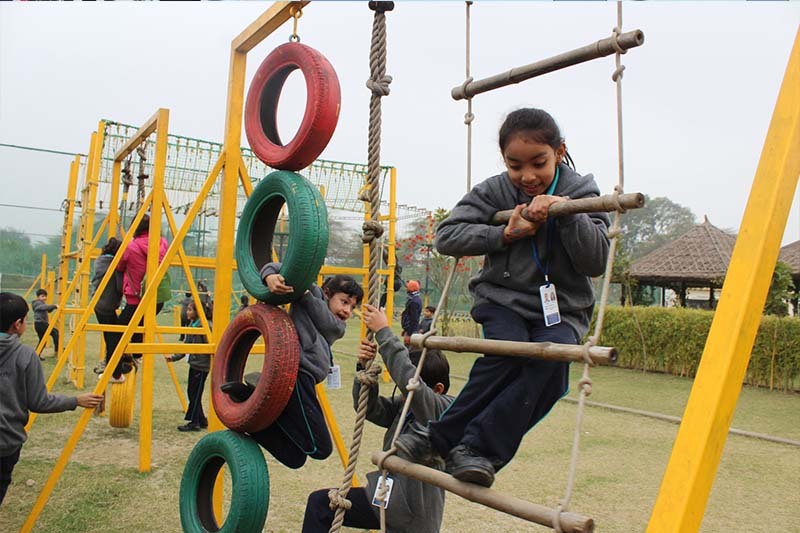 Students’ journey through an academic session is incomplete without some cocurricular fun activities. 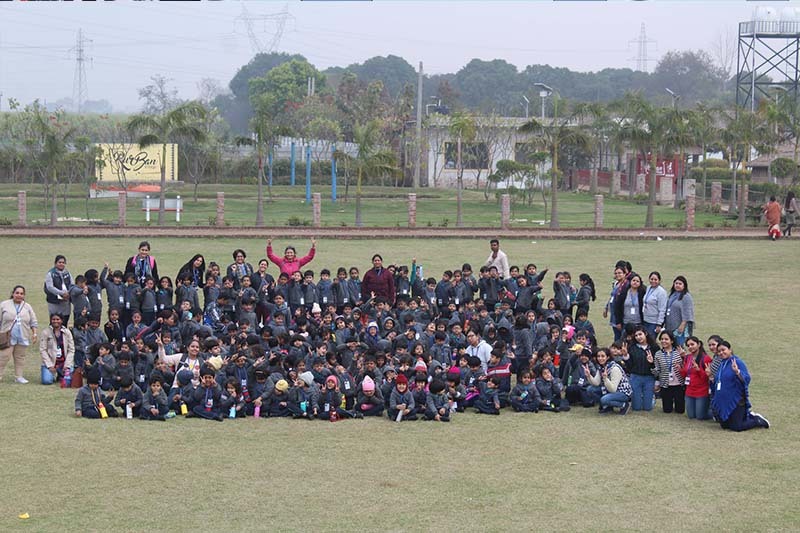 Keeping this in mind, the school organized a day adventure camp at The Rurban Village for our students. Set amidst tranquil surroundings, the premises was clean and well-maintained. The day started with a sumptuous breakfast followed by the briefing about the rules and the regulations of the camp. Much to the satisfaction of the students and teachers, the facilitators had planned the entire day with adventure activities, meals as well as DJ. The activities included zip lining, zorbing, burma bridge, commando net, wall climbing etc. The tractor ride and pottery making had truly enhanced the experience of rural adventure. With an active, well-trained and zealous group of facilitators, the trip turned out to be tremendously successful. The amount of energy and enthusiasm exhibited by the students was enthralling. At the end of the day, the DJ played peppy numbers and the students danced with full vigor.